Intending to make the Indo-Pacific region “free and open,” India and Japan have planned to collaborate on multiple projects to improve the Northeast regions of India. The two countries have joined under the Act East Forum. The purpose of this forum is to improve regions which have lagged in development, compared to the rest of the country. This is a particularly strategic region as India shares border with Bhutan, Nepal, China, Myanmar and Bangladesh in the Northeast. "It gives both countries a tremendous opportunity to cooperate and take the connectivity projects they jointly develop here further into the South-east Asian and ASEAN countries," said Professor K.V. Kevasan, a fellow at the think tank, Observer Research Foundation. So far, Japan has provided 5.5 billion yen to improve and modernize the hydroelectric plant in Meghalaya and 25.5 billion yen to improve connectivity between Meghalaya and Assam. Japan has also provided 12.3 billion yen for sustainable forest management in Tripura. A majority of the projects initiated under the Act East forum aim to improve connectivity within India and with its surrounding neighbors. Projects will also focus on infrastructure, industrial bridges, and tourism development. Japan has provided 22.39 billion rupees to renovate National Highway 40, which connects six villages in Meghalaya. The forum is managed under the co-chairmanship of Ambassador Kenji Hiramatsu of Japan and Foreign Secretary Vijay K Gokhale of India. India has obtained 11 Official Development Assistance, ODA, loans from Japan. In 2010, Japan was involved with 18 development projects across the South Asian country. India is the largest recipient of Japan’s ODA loans, with 203 billion yen promised to India in 2010. 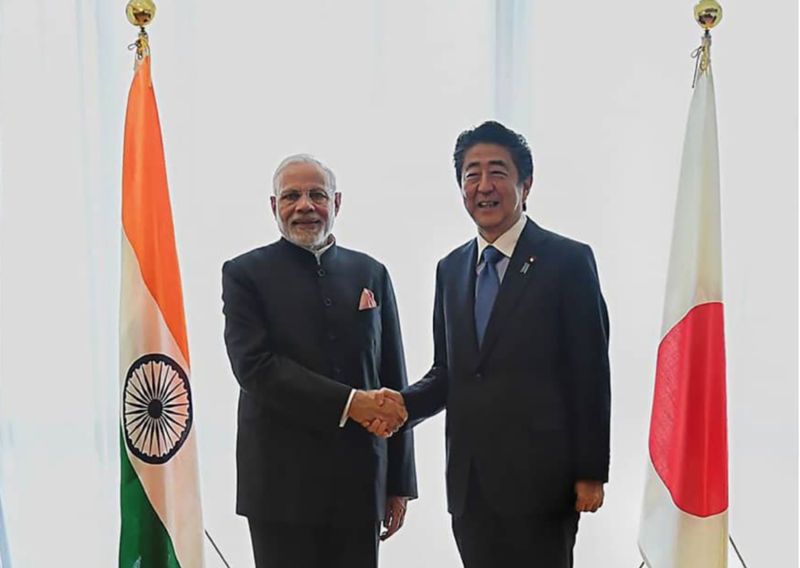 During the 13th annual India-Japan summit in late October, Prime Minister Modi also reached out to the Indian diaspora settle in Japan to reinvest in India, to help create a “New India.” He cited the advancements of the telecommunications and internet sectors as an appeal to the diaspora. To combat China’s growing influence over the region, India and Japan have also teamed up with the United States to increased defense cooperation. The countries conduct naval exercises regularly in the Indian Ocean, in response to China’s expansion of its navy into the regional waters of the Indian Ocean. Another sign of China’s growing influence is the “One Belt, One Road” initiative, which aims to construct ports and increase infrastructure around the Indian Ocean. Through this project, China plans to connect Eurasia to China, including parts of Africa and Oceania, by land and sea. Around the Indian Ocean, the Chinese intend to create land bridges and economic corridors linking China-Myanmar, Bangladesh, and India. On India’s opposite border, the initiative also plans to build an economic corridor connecting China and Pakistan. 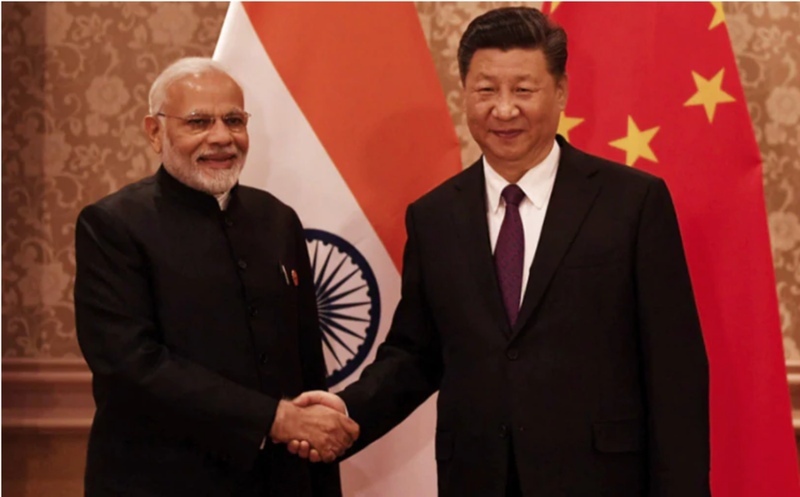 President Xi Jinping and Prime Minister Narendra Modi recently met at the Wuhan Summit on November 16. India has rejected involvement in the Chinese initiative, remaining firm in its disapproval of the China-Pakistan Economic Corridor, CPEC. Although India has refused the CPEC, the country remains open to engaging in connectivity projects with other countries, including Bhutan, Bangladesh, Thailand, and Nepal. The Japanese have also expressed interest in investing into other sectors in India, namely the textile and medical sectors, according to Ambassador Hiramatsu.